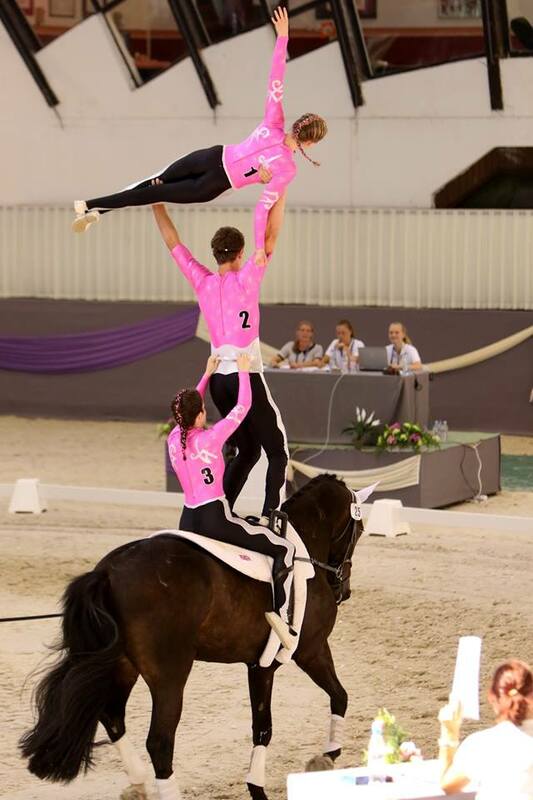 Tyron, USA will host the World Equestrian Games for 2018. This year Team GBR will be sending the senior squad and two female individuals to represent our country. 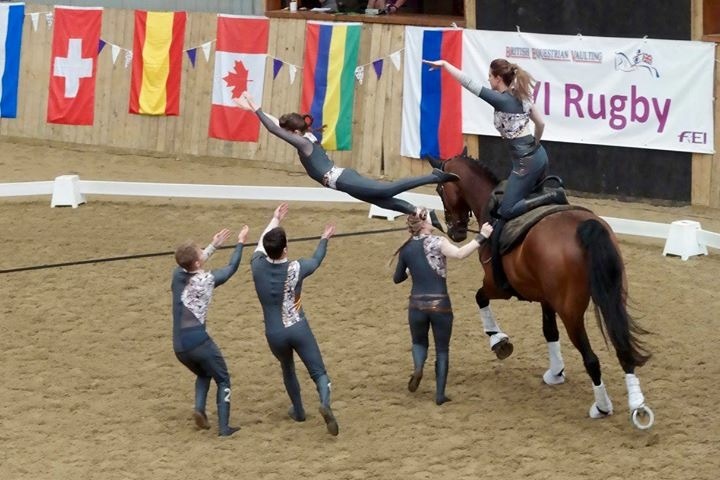 The Senior Squad will be represented by EVS this year with Ricky Davies, Lucy Phillips, Luke Smith, Sara Shortland, Imogen Bexon and Romilly Hayton, vaulting on Ben Aucott’s British bred, Demezza. Julie Newell will once again lunge the Senior Squad. 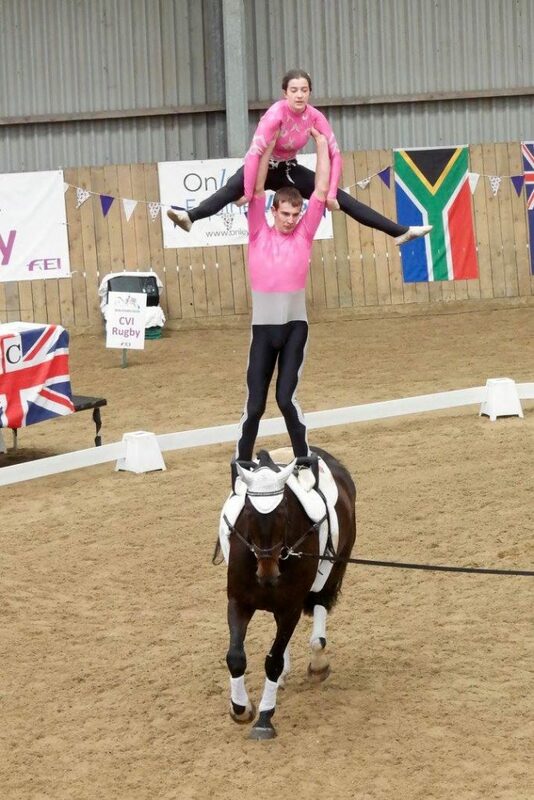 Lucy Phillips is one of the female individual vaulters selected to represent Team GBR in 2018. 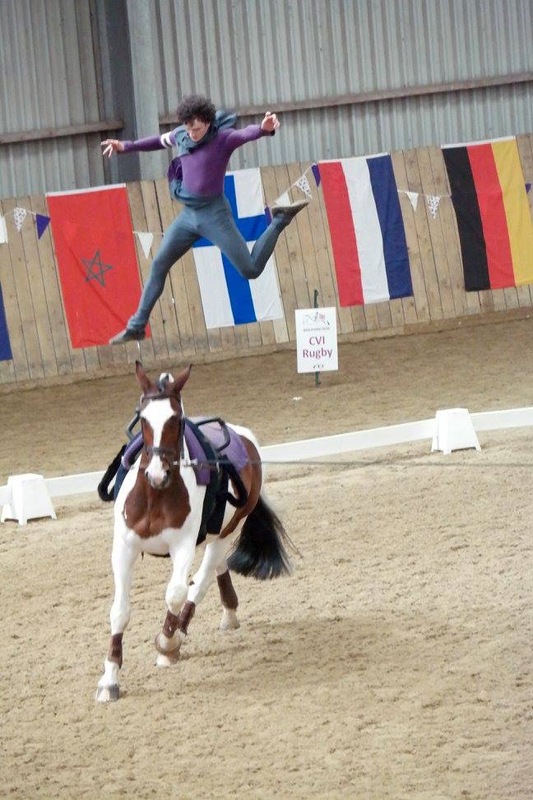 Lucy has competed in four World Equestrian Games, but this year will see her vault on Demezza lunged by Julie Newell. Lucy has also been selected for the Senior Squad. 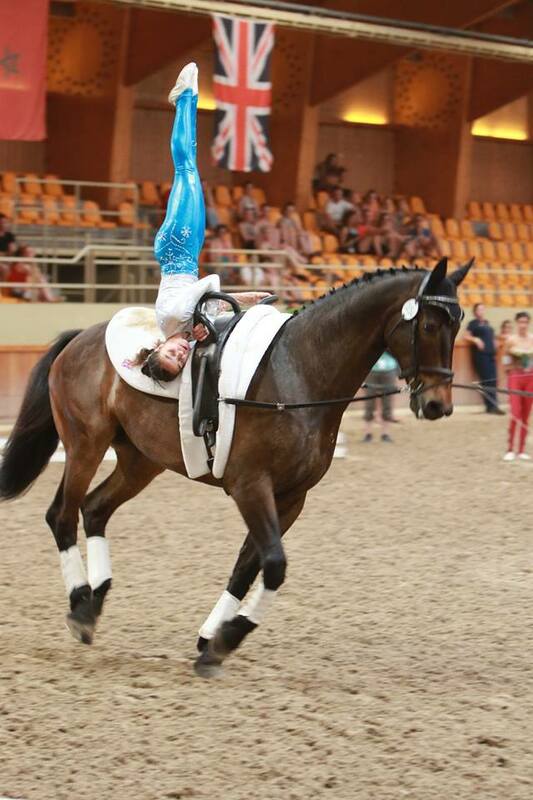 It is going to be a very busy WEG for Lucy! 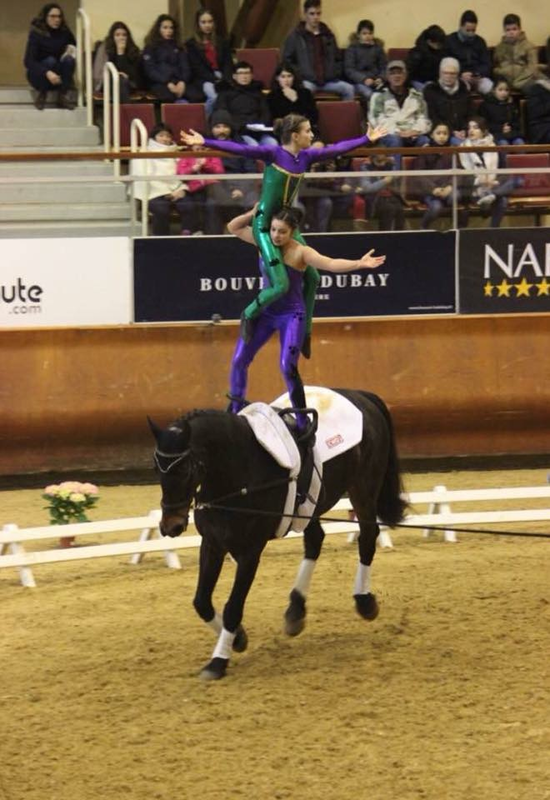 Rebecca Norval has been selected to represent Team GBR. 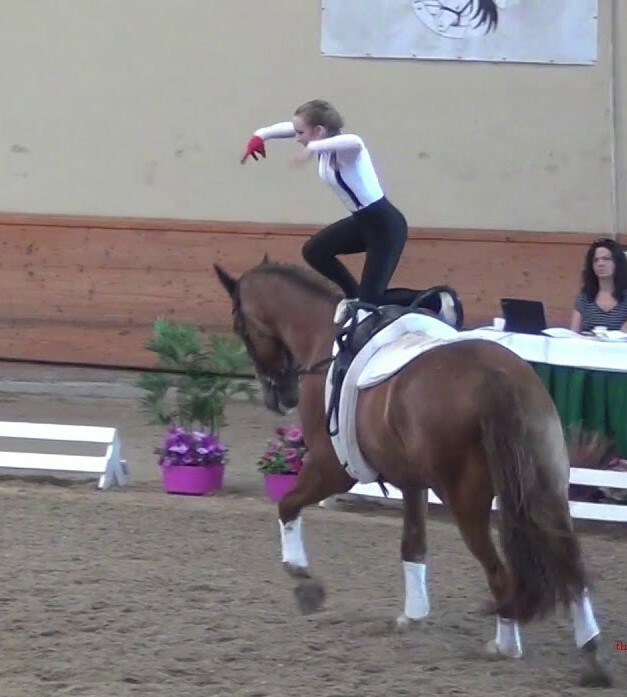 This will be Rebecca’s first WEG, but she has successfully competed in many Championships. 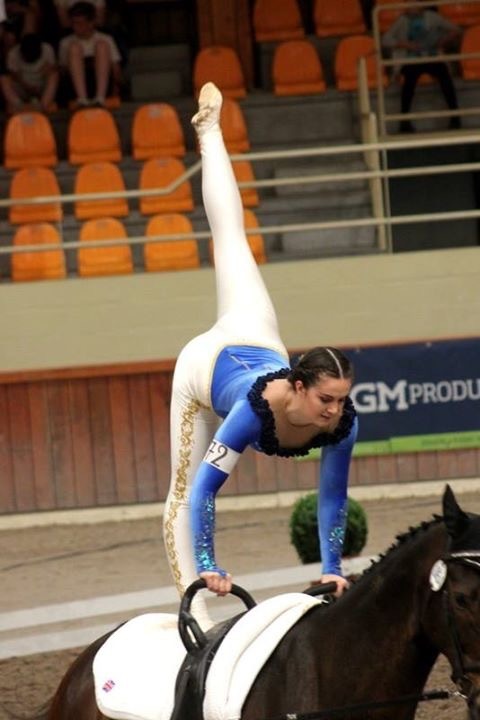 Rebecca will be vaulting on a borrowed horse. 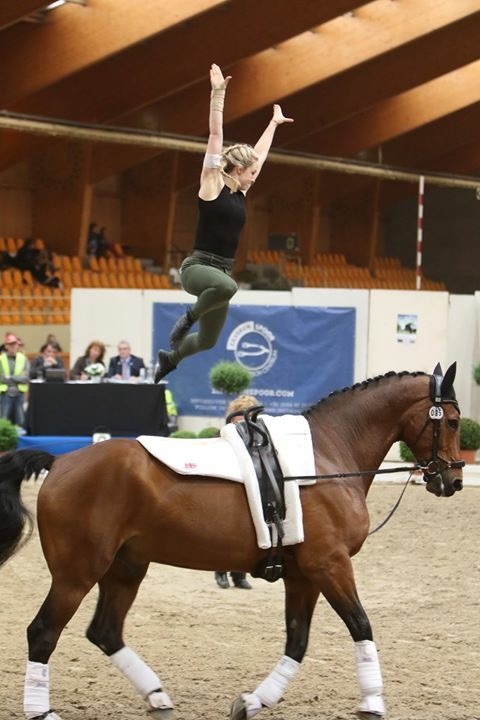 She was previously selected to complete as a senior at the European Championships in 2016. 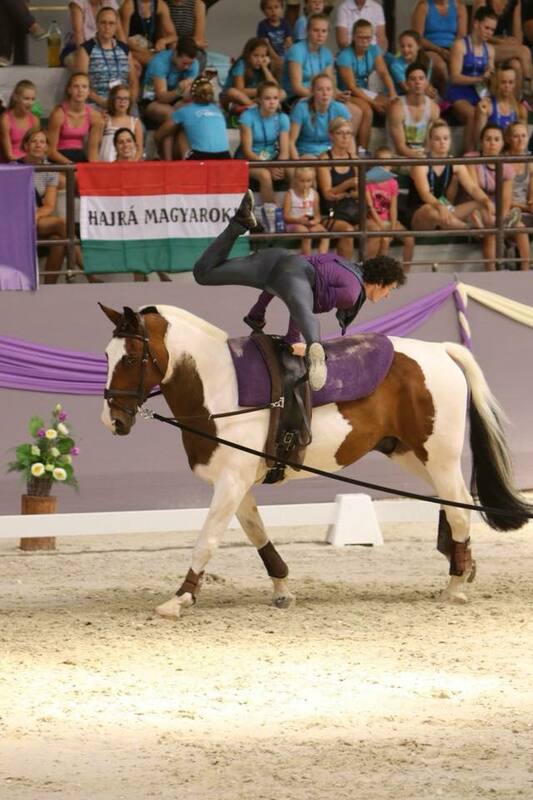 Kaposvar in Hungary will be hosting the 2018 Junior Championships in August. 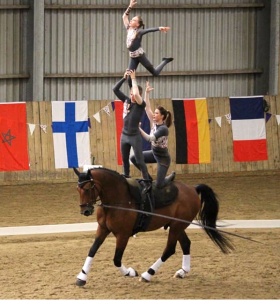 British Equestrian Vaulting have selected a Junior team, two male individuals, two female individuals and two Pas de Deux to represent GBR this year. 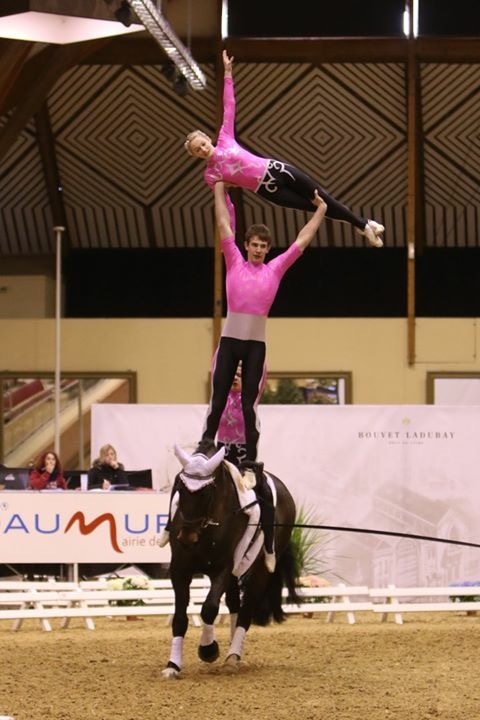 What a splendid team we have to compete in the Junior Championships. Athol Pettinger and Jack Wilson have both been selected to represent Team GBR as Individual Males at the Junior Championships. 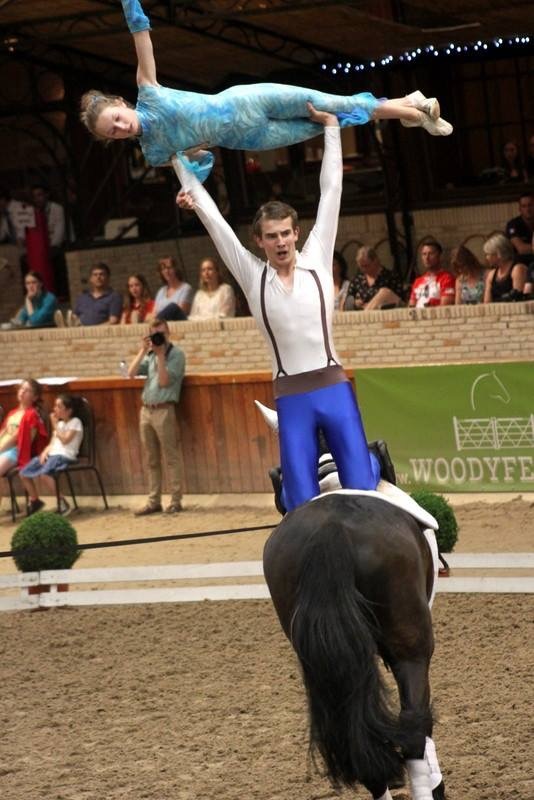 Athol and Jack vaulters will be vaulting on Rum N’ Coke and will be lunged by Liz Mackay. 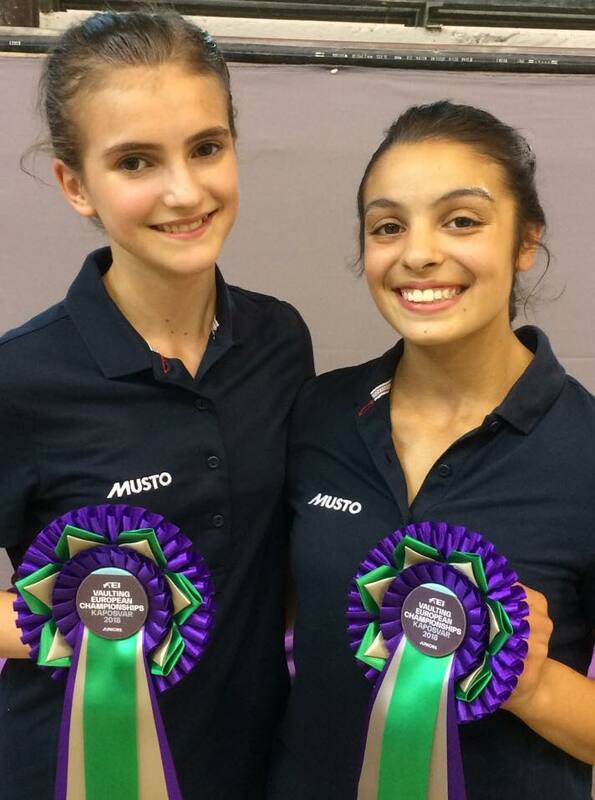 Kerri Brykla, Mhairi Hume and Arminta Younger will all represent Team GBR in the individual Female class. 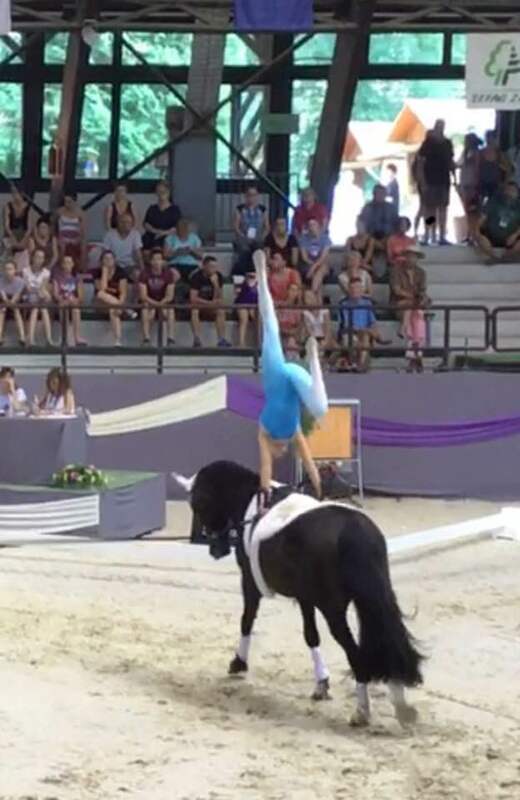 Mhairi will vault on Glaxton Billy and will be lunged by Hannah Eccles. 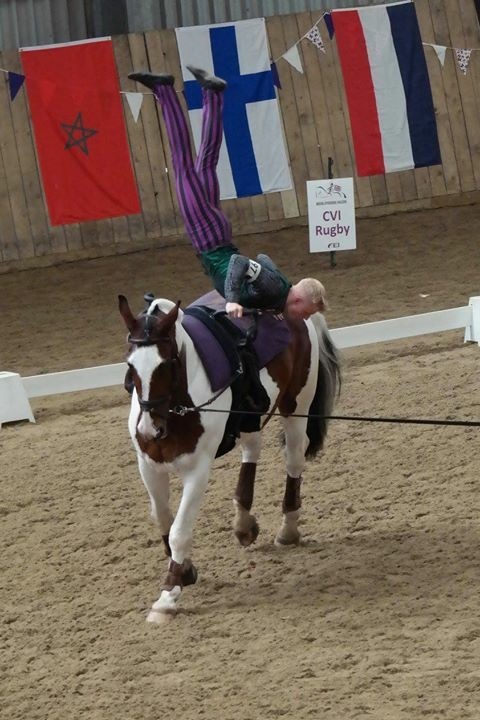 Minta will vault on Bankey Moon and will be lunged by Rebecca Hewit.